Mark is an interdisciplinary researcher specialising in knowledge exchange, stakeholder participation and the value of nature. He obtained his PhD from the University of Leeds in 2005, where he was a Senior Lecturer till he became Director of the Aberdeen Centre for Environmental Sustainability at the University of Aberdeen in 2010. He is now a professor at Birmingham City University with >60 publications in peer-reviewed international journals (H index 22). His work has been covered by the Guardian, Radio 4, Radio Scotland and international media, and he has led current and previous research projects worth over £10M. He has designed and led >50 workshops with end users of research in the UK and internationally, and has done training in knowledge exchange and participatory methods with over 25 institutions including Government departments, agencies, learned societies and Universities. 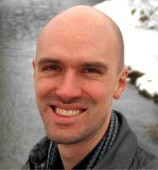 In 2012, he helped lead the development of Knowledge Exchange Guidelines for RCUK’s Living with Environmental Change partnership, based on his research on knowledge exchange and impact. In 2014 JNCC commissioned him to feed the findings from this research into the EU’s Biodiversa programme Stakeholder Engagement Toolkit. Mark has a strong track record in generating impact, and has worked closely with Government departments and agencies throughout his career to co-generate knowledge relevant to policy and practice. In 2009 he was awarded the ESRC’s Michael Young Prize, “rewarding the very best early career social scientists whose research has the potential to make a positive and far-reaching impact beyond academia”. 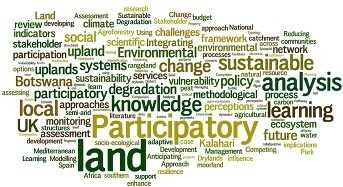 In 2011, the Sustainable Uplands project (that he has co-ordinated since 2005) was voted “best example of impact” at the Rural Economy and Land Use programme’s final conference – one of only two projects receiving awards out of over 100 investments. In 2011, he became a member of the Programme Advisory Group for NERC’s Biodiversity, Ecosystem Services and Sustainability programme. In 2014 he was invited by Defra to sit on the Intergovernmental Platform on Biodiversity and Ecosystem Service (IPBES) Nomination Review Panel to select experts to deliver the IPBES work programme. He also advised Scottish Government on research needs for the delivery of their Peatland Plan for Scotland. He was a contributing author to the upland chapter of the UK National Ecosystem Assessment and co-led the Shared Values Work Package for the follow-on to the National Ecosystem Assessment. He was a contributing author to Defra’s PES Best Practice Guide and was the architect of the UK Peatland Code, which is the voluntary standard for peatland restoration projects in the UK that want to be sponsored on the basis of their climate and other benefits. He regularly reviews funding proposals for ESRC and NERC, and has reviewed funding proposals for the British Academy, Leverhulme, and for Dutch, German and Swiss research funders. He was on the Roster of Experts in the second phase of DEFRA's Ecosystem Markets Taskforce. He is on the Editorial Board (Handling Editor, Social Sciences) of Conservation Biology (impact factor 4.355). Find out more about his work at: www.markreed.webeden.co.uk.